Do you want to learn how to surf this summer? 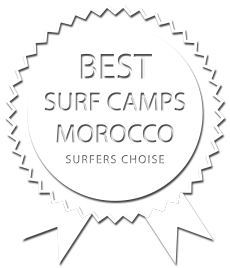 In Sidi Ifni you will find the perfect conditions for beginners and improvers: superfriendly waves, uncrowded spots and pleasant tempratures due to our special mircoclima around 28°C. The instructor decides according to the given conditions where and when to go to hold the lessons. After finishing the lessons and if the conditions are good enough the students are allowed to keep training alone but supervised by a teamer. Surf lessons take place in groups. Join us for a 1-Week Summer Surf Camp during July and August!